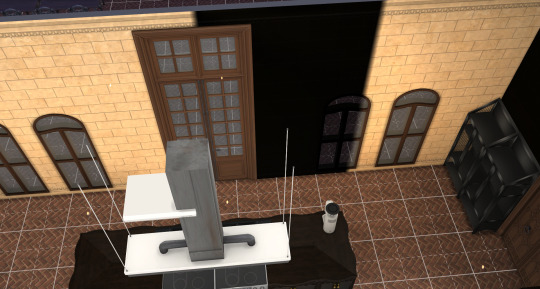 After Get Famous I and a couple of friends are having issues with walls in Build/Buy mode. Walls randomly are turning black or shaded. I have no idea if it is a game glitch or the walls and cc I'm using from Felixandre. It happens most on lots in Sunset Valley. If I use other cc it has not happened yet. If someone knows and knows a way I can fix this, since it is annoying, as it mainly happens when I'm close to finishing a lot. Hi grieralexander , that would be annoying. Can you share the link to the file? I can have a look at it for you. Maybe also let the creator know about it, it is possible that they didn't realize there was an issue. Actually, I would, the problem is that it is happening with most his walls. I am still thinking it must be a glitch with Sims 4, since it started happening after Del Sol Valley update and I have friends that have no CC and they are having the same problem. I have turned ambient occlusion off, I reinstalled the whole game to see if it was a corruption issue, I also deleted all the saves. The weird thing is, at least for me that I upload my own library builds with modern walls and is all normal. I change to Felixandre's walls and it is a Russian roulette. What bothers me the most, is that it usually happens after I'm almost done with the lot! Someone told me they fix it by moving the lot around, but it has not worked for me. It has to do with lightning!, that is what I've figured so far, since, sometimes it happens when you add a light or a window. Any suggestions? Or could it be that the lots are corrupted? Forgive me if I am speaking out of turn, but I found the profile of the creator for the walls, and downloaded the same file you show in your photo with the issue. I've taken a look at the file & found the files sizes were not the same for each texture set of the three sizes. I edited those sizes, saved the file and checked in my own game with my own castle. With the resized files, I checked all 3 wall heights and was unable to reproduce the results as you show being the problem. I very well could be reaching, but this might be why the issue you were experiencing happened. There is a tutorial by orangemittens that indicates the specific wall sizes and procedure for making the walls appear correctly in the game. Hi, I make a lot of walls and I think the glitch may be a game one. If some of the textures are showing and not others it points to maybe the lightning or something similar in game. If you want to remake the walls to check try using the panels in base game, these are the right size textures, I use them for all my walls except the x4, for those I use 'Pretty in Plaster'. wallpaper tut This tut uses the same size walls so it may help. I actually have a lot of your cc in game and like I mentioned before, I do not have a problem with other builds, it is the ones where I'm using Felixandre's walls, windows, etc. Since when I do an epoc structure like Versailles, His CC is perfect for historical builds, so it is what I will use. What strikes me as weird is that a few other simmers that are having the same problem do not use Felixandre's CC. Thank You so much for taking the time to look into this. I will look at the tutorials that you and tigger3336 mentioned. Although I have to confess I am technically dumb, so I have no idea if I'll mess everything even worst; hey, but I give it a shot! Worst case scenario I reinstall the game and trash my saves. I use to be an avid builder, but since this glitch happened I have not touch the build, buy mod; I spend my game sessions in CAS. Did you get the same problem prior to fixing them, or not? Just wondering... I will try to follow you guys advice and look into this tutorials, however like I mentioned to freeasabird, I am a disaster with sims studio, the only thing I have been able to do so far is to clone paintings and that in itself was a huge milestone, since I had no idea how to work with Photoshop. I will also leave a note in the creator's blog and see if I get an answer. Thank you for your valuable time and kindness, appreciate it. Did you get the same problem prior to fixing them, or not? Just wondering... 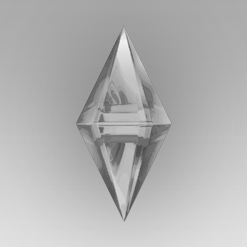 I will try to follow you guys advice and look into this tutorials, however like I mentioned to freeasabird , I am a disaster with sims studio, the only thing I have been able to do so far is to clone paintings and that in itself was a huge milestone, since I had no idea how to work with Photoshop. I will also leave a note in the creator's blog and see if I get an answer. Thank you for your valuable time and kindness, appreciate it. grieralexander ... I did recreate the same issue with the original file, and after I changed the sizes as per the tutorial directions the issue was gone. I promise, if you resizing is super easy to do. I personally use Paintshop Pro, but Photoshop is also an incredibly valuable and after 20+ years I am still learning things about the program. :D You will be able to work one image at a time, and when you select to resize that image, all you need to do is put in the proper values, save, and import back into the package. If you need help, tag me again, and I will work with you to show you how. OK, Thanks. I am downloading the tutorial you suggested and will cross my fingers :( If it doesn't work out I'll guess I'll delete all his walls. tigger3336 I just left a message to Felixandre about the walls. I will read the tutorial now and see how far I can get. Thanks again! Update: I installed the patch today in prep. for the new EP. I started testing with a build, using Felixandre walls, not the same ones, but others that were giving me the same problem and I'm almost done with the structure and the problem has not arisen yet. I tried fixing his, but I got stuck in the resizing in PS, so I winged it and tried to make a pack with what I had, it did not show up in game! LOL. I'll take a miracle to make a creator out of me. Koodos for trying! grieralexander ... I'm going to hope the patch fixed your issue permanently, but in the event that it did not I am working on a few video tutorials that might help you. I am a visual learner, and have gotten upset more than once while trying to read tutorials that are written ... and expect to follow them. LOL. Maybe those will help you? That would be great! I mean I tried, but it just did not happen :( I hope the patch fixed, everything. It is to soon to say. I finished the structure, now I'm placing interior doors and lightning, which it is usually when everything goes bunkers. I'll update as soon as I know. tigger3336 To good to be true. It happened again with the Versailles walls from Felix! I was almost done with this lot, so I either trash it or change all the wallpaper; maybe tomorrow, I'm too frustrated to work on it atm.